When looking for a toy for a 9-year-old girl, the Klutz Make Clay Charms Kit is a nice combination of a hands-on activity and a cute keepsake. Klutz is known for their super simple instructions and quality products, and this make-your-own charms set doesn’t disappoint. The kit includes a charm bracelet, a rainbow of modeling clay, a shaping tool, finishing glaze, and a collection of cute charms you can make using Klutz’s guidance. Or, free-thinking children can let their creative juices run wild and make their own unique designs. Either way, parents and children alike agree that the Clay Charms Kit from Klutz is easy and fun. This toy allows a girl to use her imagination and create something to enjoy day after day. The only thing to be aware of is the fact that the charms are not indestructible. In fact, some have found them to be on the fragile side and that they break during routine activities. One solution is to put them on a necklace rather than a bracelet. You can also simply make more charms. The kit includes enough clay to make well over a dozen charms and more modeling clay can easily be purchased at major retailers. Fun doesn’t have to cost a ton, and this budget toy will surely prove that. The Fingerlings Glitter Monkey will delight any 9-year-old girl that loves animals and enjoys using her imagination. These tiny toys are cute to look at, and many have sparkly features and come in various colors. The real appeal is the fact that each Fingerling is equipped with WowWee Smart Tech and responds to sound, motion, and touch. There are over 40 actions that Fingerlings can perform. This tech toy is a great value at less than $20, and kids enjoy playing with them for weeks on end. The family of Fingerlings includes other animals besides monkeys, so you can collect a zoo of cute handheld animals. Do you know a little girl that loves to build with Legos and play make-believe, too? If so, she’ll love the Heartlake Lego Friends sets like this pet salon. The Heartlake Pet Salon includes two mini-doll figures, a poodle, key pieces for the inside of the grooming salon, and is 242 pieces in all. It’s a nicely sized kit for a 9-year-old girl whether she is just being introduced to the world of Lego Friends or is already a block-building enthusiast. This toy will allow for hours of building fun and imaginative play. It makes a perfect gift. The instructions are easy to follow and the amount of play and quality that come with this kit make it well worth the sometimes high price tag for Lego products. For a toy that will challenge the mind and provide opportunities for STEM learning, the Gravity Maze from Think Fun is a popular choice. This logic game is perfect for solo play or can be enjoyed with her friends. There are 60 cards that challenge you to build different configurations, with the goal of finding a path from the starting point to the Target Tower each time. Parents love that it challenges the mind and provides practice with engineering principles at the same time. While some children with an aptitude for these types of challenges may be able to whiz through the 60 cards in a short amount of time, it doesn’t seem to lessen the appeal of this STEM toy. The opportunities to think outside the box, even beyond the included cards, provide extra mental stimulation and learning opportunities. Friendship bracelets have been around for decades and have been serving as a fun activity for kids of all ages. One of the latest crazes is to make friendship bracelets from rubber bands, and Rainbow Loom Bands is one of our top choices of a craft kit for young girls. Rubber band bracelets are popular thanks to their simple construction and durability. This kit from Rainbow Loom includes everything needed to make about two dozen bracelets, including a loom, hook, and 600 rubber bands. It’s a great value for a toy because it will keep her busy for hours on end. It also makes a fun activity when she has friends over. While there is a little bit of a learning curve for the rubber band loom, there are many video tutorials available online if the included instructions don’t give enough detail. In no time at all, this toy will turn into dozens of cute, functional bracelets. Are you looking for a toy for a girl that loves to help in the kitchen? The Real Cooking Ultimate Baking Starter Set includes the perfect pieces for a young girl that loves to bake and it spans the bridge between imagination and real-world usefulness. This colorful set is cute enough to be used for make-believe, thanks to its fun colors and durable plastic construction. But if your child is ready to whip up some baked goods of her own, this quality set is the perfect starting point. It includes two mixing bowls and a handy suction cup base for stability, an egg cracker, silicone mold, measuring cups, and various utensils. You’ll also get two cake mixes and frosting mixes, plus sprinkles to decorate with. Parents rave that this set is high-quality. The egg cracker, in particular, has earned a lot of fame as an essential gadget. Introduce the exciting world of science with the Insect Lore Deluxe Butterfly Garden. It's the perfect gift for any young nature lover. The kit provides a window into the life cycle of the painted lady butterfly. The kit includes everything needed to raise five butterflies. It is delivered with live caterpillars, their food, a chrysalis station, and a reusable mesh habitat. The process is fascinating according to parents and kids that have purchased the kit, and the success rate for the caterpillars becoming butterflies is high. Just be sure that you’ll be around for the approximately 3 weeks it takes to raise the caterpillars into ready-to-release butterflies. For a young girl that loves to move fast outside, the Razor A Scooter is a classic toy. It will take her from point A to point B in no time at all. 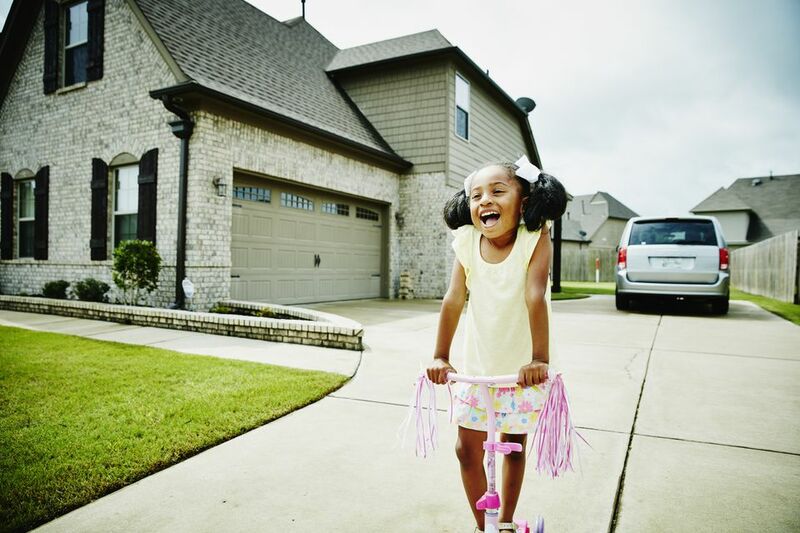 This well-made kick scooter is available in five different colors and has adjustable-height handlebars, making it the perfect ride for any 9-year-old girl. For parents concerned about storage, the scooter features a compact folding design. It’s the perfect size for most children in this age range and offers a rear wheel brake pad for safety. Despite costing less than $30, people find the construction and quality of components on this scooter to be excellent. The Razor A Scooter may seem like a toy in the eyes of your little girl, but the performance and quality are anything but toy-like.